When Sony unveiled the Xperia Z and ZL at CES 2013, they clearly showed that they were going to have a renewed dedication to the smartphone market. As expected by the April release schedule, the Xperia ZL has finally been made available to Canadians. 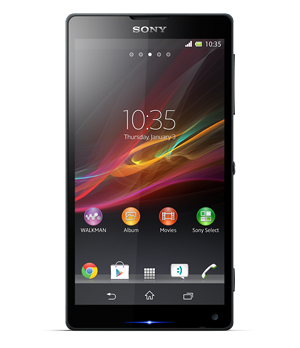 The Xperia ZL is a flagship phone packed with killer hardware including a 1.5GHz Quad Core Snapdragon S4 Pro Processor, 2GB of RAM, Adreno 320 GPU, 13MP Exmor RS cameras, 5-inch 1080p display and are running Android 4.1 Jelly Bean. According to MobileSyrup Videotron has the ZL currently listed for $199.95 on a ‘Reduced price’. Rogers, has the Xperia ZL available on their site for $124.99 on a 3-year and Bell’s version is up for grabs for $99.95 on a 3-year contract.